A fitting ending for a beloved franchise. An animated sequel is expected but an animated trilogy is a rarity. It has almost been a decade since we first met Hiccup and Toothless back in 2010. Since then we’ve had a sequel, 4 short films, and 8 seasons of a spinoff show. 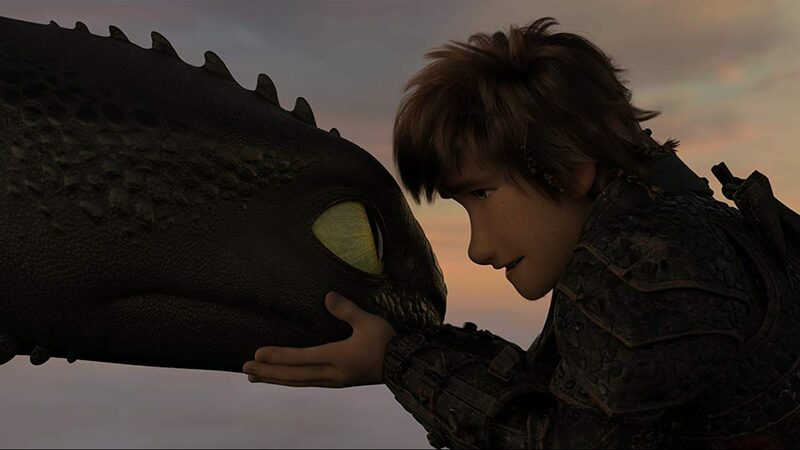 Having grown up with this franchise, it was hard to say goodbye, but How to Train Your Dragon: The Hidden World delivers an exciting and heartwarming conclusion that should satisfy most fans. A year after the events of How to Train Your Dragon 2, Hiccup (Jay Baruchel) has settled in to being chief and has made it his mission to rescue all dragons and relocate them to Berk. However, Berk’s ever-growing population of Dragons becomes a bit too much for their small island and makes them a target for Dragon Hunters around the world. After an attack from Night Fury hunter, Grimmel (F. Murray Abraham), Hiccup’s solution is leaving Berk to find the Hidden World: a secret paradise described to him by his late father, Stoick (Gerard Butler) where he hopes Dragons and Vikings can live together in peace at last. Meanwhile, romance blooms as Toothless falls in love with a Light Fury and Hiccup and Astrid (America Ferrera) are pushed to consider marriage. Writer and director Dean DeBlois has a talent for blending heart, humour, and darker themes. The Dragons franchise has always differed tonally from other Dreamworks offerings because of this understanding of the audience. The Hidden World is an extension of the masterful storytelling we have experienced in previous films, much like how Hiccup and Toothless have changed over the years. You’ll fall even more in love with Toothless as he attempts to court the Light Fury in a hilarious sequence. In contrast, it’s hard not to emphasize with Hiccup as he faces resistance on his decisions for the entirety of Berk. Cast members Kristen Wiig, Craig Ferguson and Jonah Hill all have their moments to shine, providing the comedic relief for the film as our favourite supporting Vikings. The conclusion of the plot points was a bit rushed but doesn’t detract too much from the experience. It is absolutely worth seeing this film in cinemas. The stunning details in the animation are definitely something that should be appreciated on the big screen. You can feel the softness of the sand and the chill of the clouds. Action packed flight sequences are as breathtaking as the original. There is this one moment in the middle of the film where the prowess of the animation team truly shines. There is no dialogue, but there doesn’t need to be. In one moment, all that is needed to be said is said through animation alone. Overall, The Hidden World is a solid conclusion to arguably one of the best animated franchises of the decade. A toast to our boys’ Hiccup and Toothless, may we treasure the memories of their forbidden friendship and the journey they have shared with us the past 9 years. Don’t forget the tissues – this one’s a tearjerker. How to Train Your Dragon: The Hidden World, directed by Dean DeBlois, is distributed in the UK by Universal Pictures International, certificate PG.